Are concerns about safety keeping you from switching to propane? Propane is among the safest forms of heating fuel available, but it’s still important to know what to do if you think you have a leak! No flames or sparks – immediately put out any open flames, such as candles. Do not attempt to turn on lights, appliances, cell phones, or any electronics either—flames or sparks from these sources can trigger a fire or explosion. Get outside immediately – if you smell gas, get everyone out of the house as quickly and safely as possible. Shut off the gas – if it is safe to do so, shut off the main gas supply valve by turning the valve to the right. Report the leak – from a safe distance, use a cell phone or a neighbor’s phone to contact your propane retailer right away. If you can’t reach your propane retailer, call 911. Do not reenter your home – do not go back inside for any reason until your propane retailer, emergency responder, or qualified service technician determines it is safe to do so. Have your system inspected – before using any of your propane appliances again, have them inspected by a qualified service technician to ensure that the equipment is leak-free. For your safety, make sure you never run out of gas. If an appliance valve or gas line is left open, a leak could occur when the system is recharged with propane. If your tank runs out of gas, any pilot lights on your appliances will go out as well—this can be extremely dangerous. If you run out of gas, a leak check is required. Your propane retailer or qualified service technician must perform a leak check of your propane system before turning on the gas. Have questions about propane? Call Peninsula! As long as you take reasonable precautions, propane is one of the safest heating fuels available, with built-in safety valves and stringent safety regulations. Peninsula service techs are trained in the safe transport, delivery, and handling of propane. 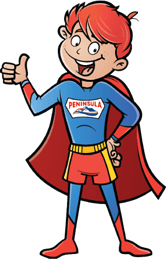 If you’re ready to make the switch to propane for your home, call Peninsula today! 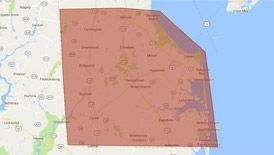 To find out more about propane delivery in Delaware or Maryland, contact us today!